FORTéFIED masterclasses are designed to offer practical advice and connecting you to a wealth of knowledge and experts, so you can gain the confidence to live the life you want; whether in your business or your personal life. Over my years of coaching and training, I have been struck by how many people bury their dreams. It manifests as procrastination, lack of passion or even fear but ultimately, it is the lack of confidence to strive for their dreams. This is my passion -encouraging, equipping and empowering individuals to attain their highest potential. 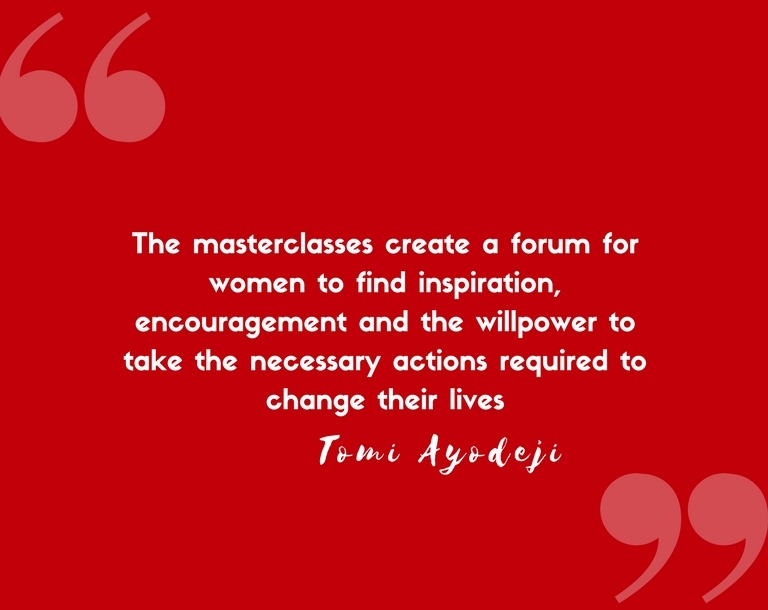 This is the purpose of the FORTéFIED masterclasses. We are also passionate about empowering the next generation and a percentage of the proceeds from the masterclasses go towards running the FORTéFIED schools’ workshops in institutions that do not have the funding for it. Masterclasses will launch in 2018. Sign up for the newsletter to be informed when they go live. an empowering benefit to offer your employees how to make sustainable choices. @OluAdeaga And to do something for nothing.